This is perfect for Spring Time Dinners or you can do like my family and have it with every holiday meal! I have to double the recipe and it still isn't enough. I also have to watch my family to make sure someone doesn't hide it from everyone else. 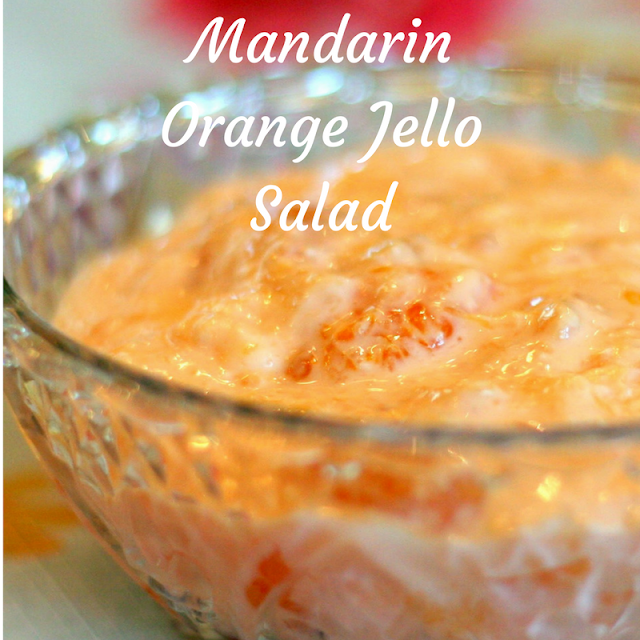 Pour off mandarin orange juice into a sauce pan. Add orange jello and cook till dissolved. Next add cream cheese to the orange mixture but turn the heat off. Set aside till broken up and melted. Cream Cool Whip until smooth then add orange cream cheese mix and continue to mix until smooth. Gently stir in drained crushed pineapple and mandarin oranges. Add nuts if desired. Chill 2 - 3 hrs in refrigerator until set. This recipe looks wonderful. However, I am allergic to something in cool whip style toppings. Would whipped cream be to rich?